So hey, remember I built an open source ColdFusion survey application? This morning someone sent in a good request and I quickly added it. Surveys may now have an "attachment" question. 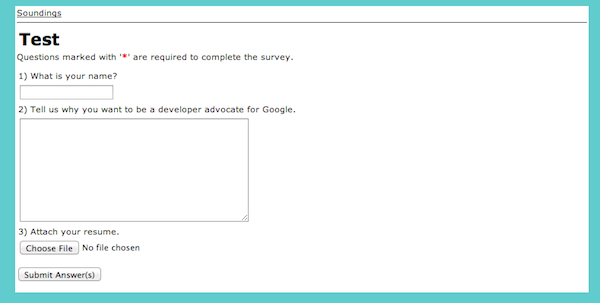 Basically it means you can create a survey that also asks people to upload an attachment. You can grab the latest bits on GitHub: https://github.com/cfjedimaster/Soundings.